E. Palmer Rockswold, 102 of Eagan, author of “Per”, died Tuesday, February 12, 2019, at the Brookdale of Edina in Minneapolis. E. Palmer Rockswold was born on April 30, 1916, by Litchville, North Dakota the son of Per and Serianna (Horshager) Rockswold. His father died when he was six months old, and his mother passed away before his tenth birthday. Throughout his teenage years, Palmer worked tirelessly on a dairy farm to cover his room and board. A talented musician, he also drew a respectable side income on weekends playing accordion for barn dances and other area events, sometimes netting as much as $2 a night. After graduation from high school he earned his bachelor’s degree at Valley City State College. While teaching in Valley City, Palmer met and married his wife Myrna. The pair moved to northwestern Minnesota where he taught high school history and social studies and employed his musical talents conducting student marching bands. In 1950, Palmer completed his master’s degree in administration at the University of North Dakota in Grand Forks. 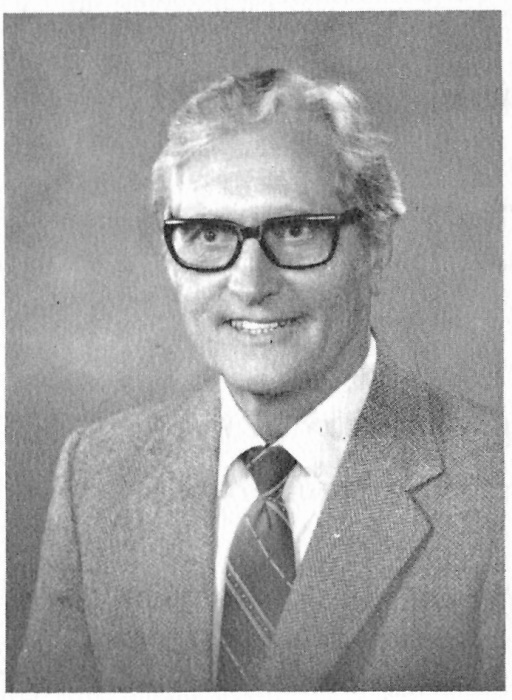 This opened the door to a long career as a school superintendent in Gonvick, Henning and Madison, Minnesota retiring in 1976, after spending twenty-five years as a school superintendent. In retirement, he enjoyed travel, writing and promoting his book “Per”, which was about his father a Scandinavian Immigrant, and was editor of Hadeland Lag of America. Myrna passed away from cancer on November 8, 1980. Palmer eventually moved to the Twin Cities with second wife Betty, whom he married in 1986. In 2007, they moved from Eagan into Brookdale Senior Living in Edina, adjacent to Edinborough Park. He was known as a social and community minded-resident, was on the board of the Residents’ Association at Brookdale from 2008-2012, serving as president the last year. He established a men’s group where they talked about things they were interested in, including economics, travel and genealogy. Palmer also led a weekly current events discussion group and was a staple at Bible studies and other weekly social functions. He enjoyed travel, writing and promoting his book “Per”, which was about his father a Sacndinavian Immigrant, and was editor of Hadeland Lag of America. He is survived by four sons, Gaylan (Mary), Gordon (Kate), Grant and Gary (Wendy); grandchildren, Sarah, Paul, Nathan, Erik, Beth, Alice, Mark and Jessica; great-grandchildren, Benjamin, Serianna, Mary, August, Ethan, Dylan and Nora. Palmer was preceded in death by his first wife, of forty-two years, Myrna and second wife of twenty-three years, Betty; and daughter-in-law, Susan. Memorial Service: 11 AM, Saturday, June 1, 2019, at First Lutheran Church in Battle Lake.